In a recent ruling, the Frankfurt Regional Court deals with the Art Copyright Law(Kunsturhebergesetz (KUG)), and the General Data Protection Regulation (GDPR). Regarding a video that has been published on Facebook without the consent of the person recognizable in the video. (LG Frankfurt, judgement of 13.09.2018, Az. 2-03 O 283/18). 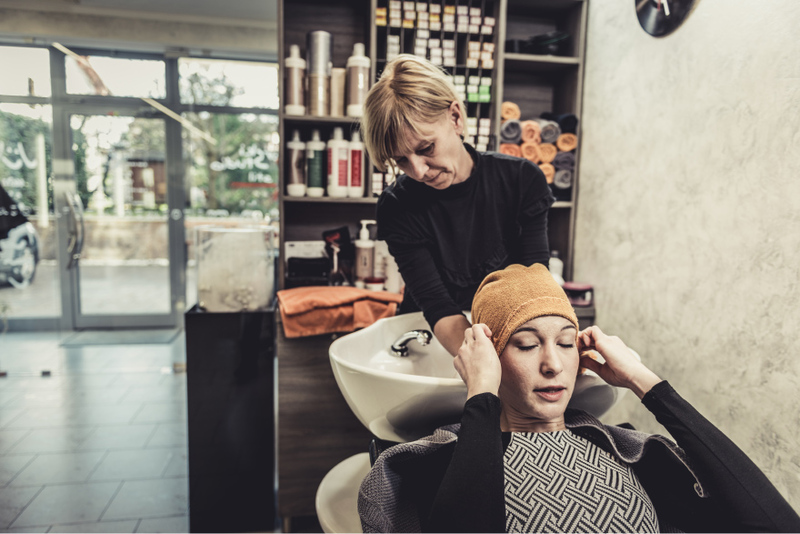 The plaintiff is a customer of a hairdressing salon in Frankfurt, where she got hair extensions. While she was getting her hair extensions, she was photographed by a man unknown to her. In addition, a video was taken of the customer, although it is not clear whether the video was taken on the day she got hair extensions or on the following day. It wasn’t until shortly after the visit, that the customer found the photos and the video on the Facebook fan page of the hairdressers. She was clearly visible in the photos as well as in the video. The customer then personally asked the hairdresser to remove the photos and the video from the page, however, the hairdresser then only removed the photos, but not the video. The video remained accessible on the Facebook page. The customer then defended herself against this by way of temporary legal protection. During her visit to the hairdresser, she had repeatedly asked explicitly to refrain from taking photographs. The video recording was also secret, unnoticed and made against her will. The hairdresser, on the other hand, claims to have informed the customer that video recordings had been made for the purpose of publication, and the customer had consented explicitly to the video recording and its publication. The Frankfurt Regional Court reviewed §§ 22, 23 of the Art Copyright Law and Art. 6 para. 1 lit. a), f) GDPR and thereby confirmed the preliminary ruling, that the customer can therefore demand that the hairdresser refrain from further publication of the video. According to § 22 of the Art Copyright Law, the distribution of a picture on which a person can be seen, always requires the consent of this person. § 23 of the Art Copyright Law provides some exceptions, for which consent is not required, provided that no legitimate interests of the person depicted are hurt by the distribution. The court ruled that there was no such exception for the photos of the hairdresser’s and that the consent of the customer could not be substantiated.In addition, the court examined Art. 6 GDPR. Similar to §§ 22, 23 of the Art Copyright Act, Art. 6 GDPR assumes in principle that consent must be obtained from the person concerned, but at the same time lists some exceptions where consent is not required. In this case, only the exception in Art. 6 para. 1 lit. f) GDPR was considered. This means that necessary legitimate interests may lead to the waiver of consent if these legitimate interests are not overridden by the interests or fundamental rights of the data subject.The court first considered the principles of §§ 22, 23 of the Art Copyright Law, as well as, the previous rulings on this subject. Taking this into consideration, the interest of the customer to refrain from publishing the video outweighs the interest. Then the court considered Art. 6 (1) (f) GDPR in its entirety and came to the same conclusion. Direct advertising is in principle a legitimate interest within the scope of Art. 6 GDPR. However, the court already had doubts as to the necessity of this interest. In any event, it is “contrary to the reasonable expectations of a customer in a hairdressing salon that their visit to the salon be recorded on film and used to advertise on the internet”. What does the verdict mean for photographers? The relationship between the Art Copyright Law and the GDPR remains unclear. The Regional Court of Frankfurt has expressly left open whether the Art Copyright Law standards remain applicable alongside those of the GDPR or whether they are superseded by the GDPR. In this case, however, it did not matter, because the publication of the video was illegal under both the Art Copyright Law and the GDPR. However, it should be positively emphasized that in interpreting Art. 6 GDPR, the court included the principles and the previous jurisdiction of §§ 22, 23 of the Art Copyright Law. So far, only the Higher Regional Court of Cologne has decided that the Art Copyright Law continues to apply at least to the publication of pictures of persons in the journalistic field (Higher Regional Court of Cologne, judgment of 18 June 2018, file no. 15 W 27/18). The judgement of the Regional Court of Frankfurt also shows the fundamental importance of consent and its proof. According to Art. 7 GDPR, it is the obligation of the person responsible to prove consent.